Last week, Kellyn from Compass reached out to me asking if I would do a “Starter Stories” blog post about my first apartment. 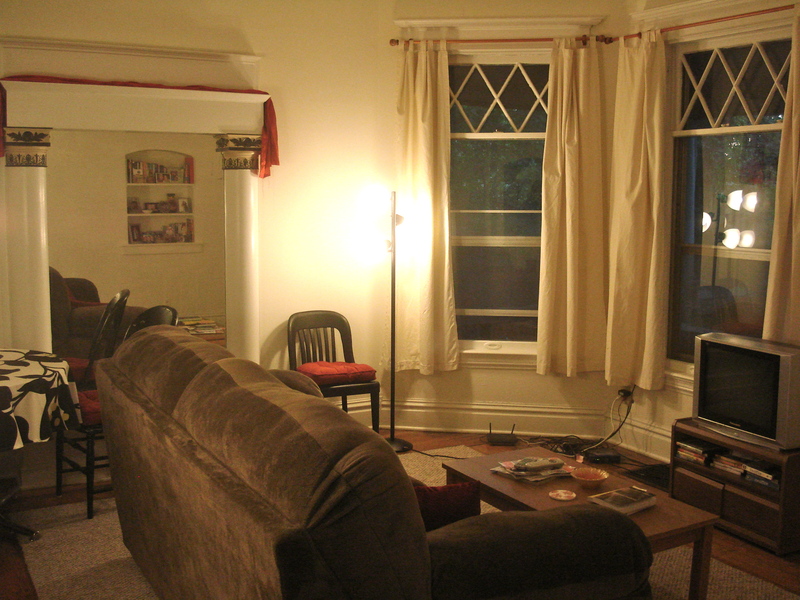 I thought it sounded like a fun idea, so I wanted to share with you an essay I wrote about the first apartment I lived in all by myself, when I moved from California to Indiana to attend graduate school. 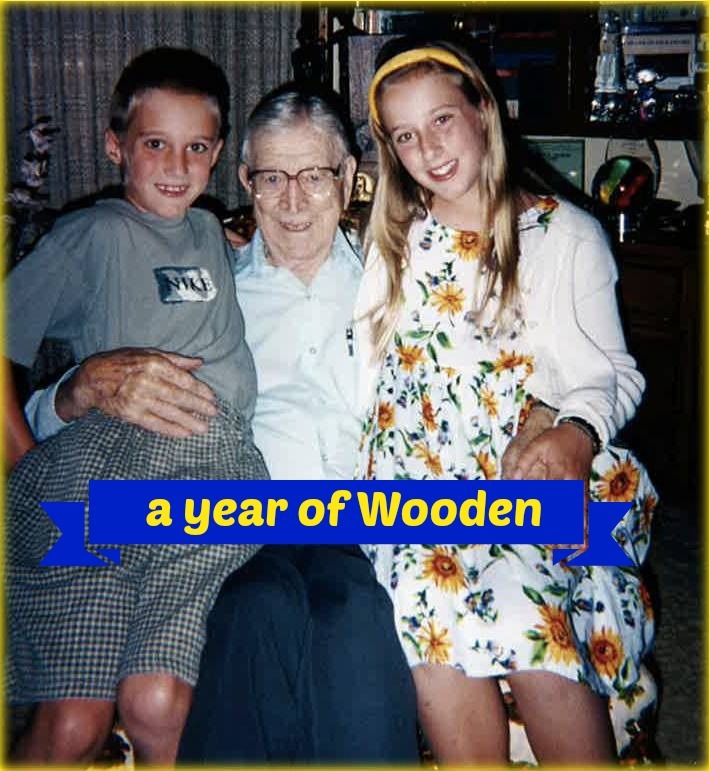 This essay was first published in Chicken Soup for the Soul: Home Sweet Home and also appeared in the online literary magazine Faith, Hope & Fiction. It was a chilly April afternoon in the small college town of West Lafayette, Indiana. 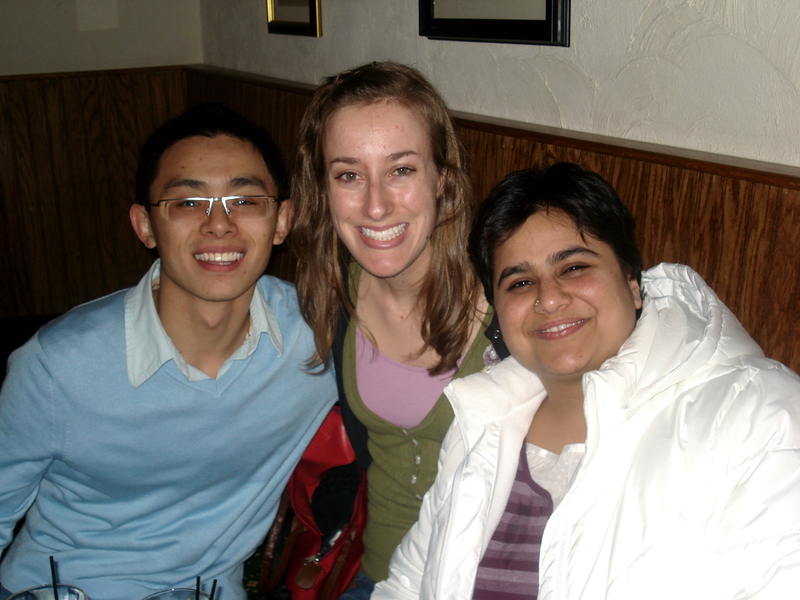 I had just been accepted to graduate school at Purdue University and, after three whirlwind days of sitting in on classes and meeting professors, I had decided that this was the program for me. West Lafayette would be my new home for the next three years. I was nervous, but also very excited. Before catching my flight back to my California hometown, I drove around looking at apartments. The second place I visited was part of an old Victorian-style house that had been sectioned off into four separate apartments. As I drove through the shady tree-lined neighborhood, the stress and frantic pace of the last three days ebbed away into a calm tranquility. Yes, I thought. This feels right. The apartment was charming. Bay windows, hardwood floors, a wide front porch. 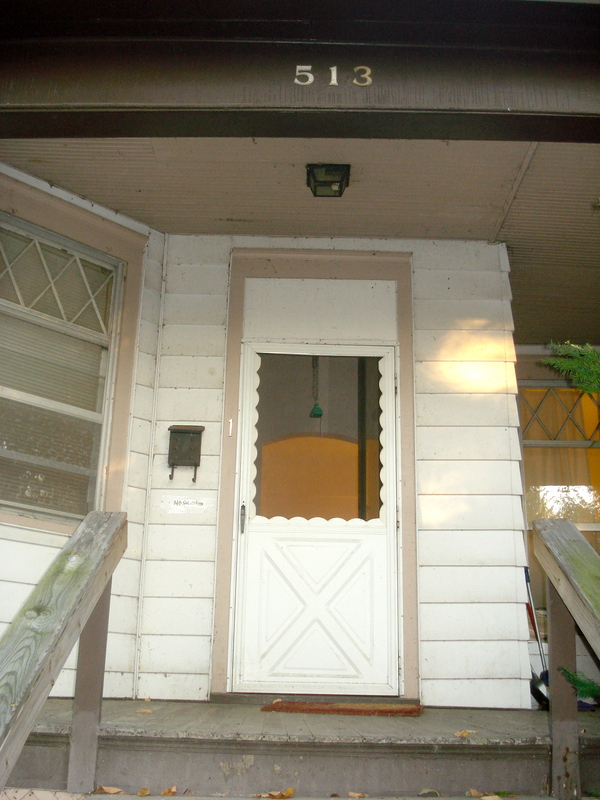 It was the ground floor unit, which meant the front door was the original front door of the house. How neat it would be, I thought, to walk through that beautiful front door every day! 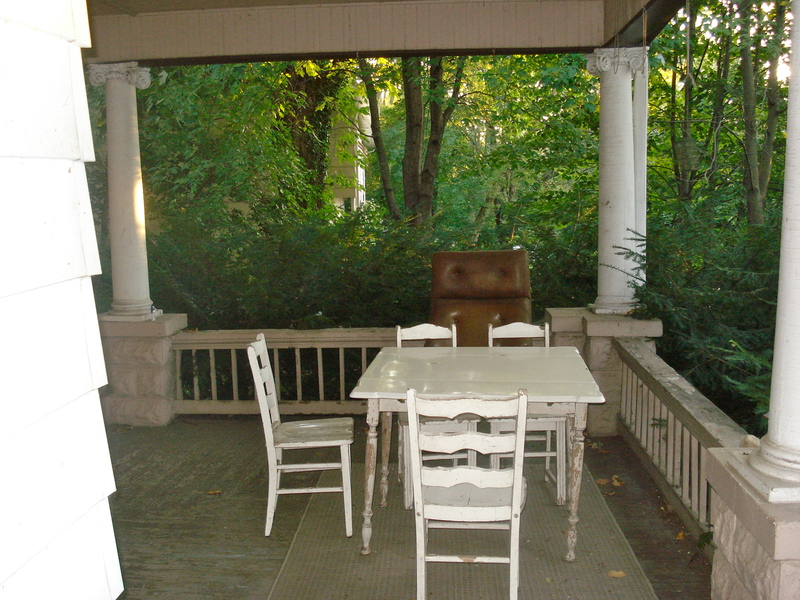 And the porch would be the perfect place to write or do homework when the weather is nice. I signed the lease right then and there. The rest of that spring into summer, whenever I felt nervous about packing up my life and moving halfway across the country, I would think of that apartment. 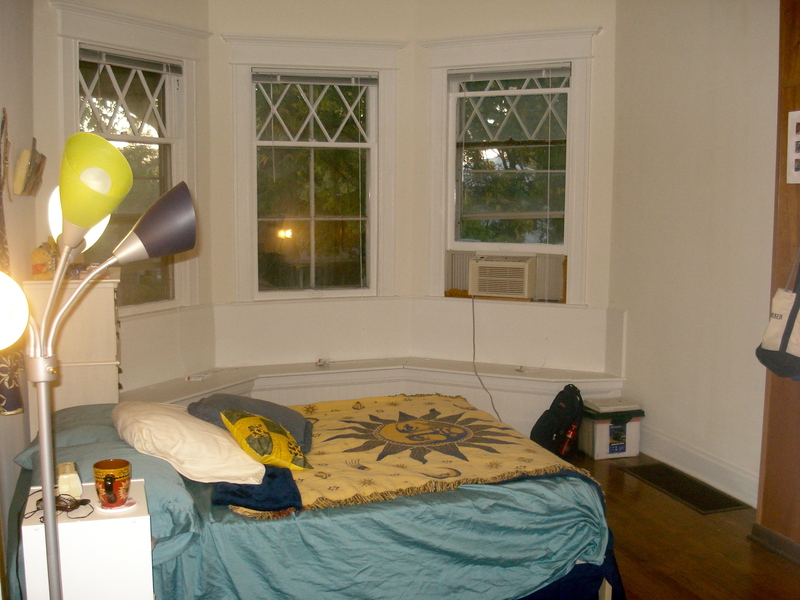 I’d never had my very own place before, and it felt like a milestone on the path to adulthood. 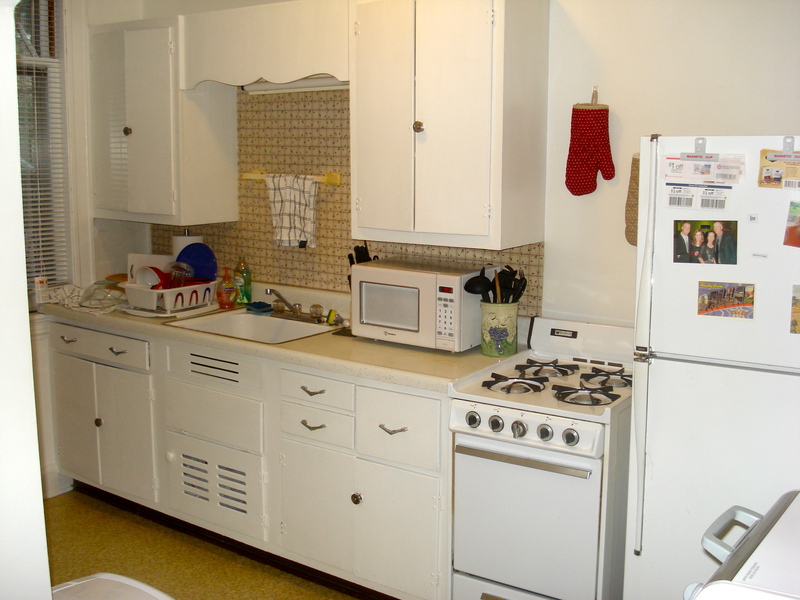 In college I’d not only shared an apartment with three other girls, I’d even shared a bedroom with a roommate because living costs were so expensive. Now, I’d finally have a place of my own that I could decorate however I wanted. I explored websites and daydreamed about curtains and dishes, rugs and duvets. Moving day came. I crammed my car with clothing and books and drove for five days along Interstate 70, from the Southern California beaches into the heart of the Indiana cornfields. I walked up the stairs onto my new front porch, unlocked the giant glass-paned front door, and strolled around the empty rooms with a huge smile on my face. It was all mine! I was officially a grown-up, living on my own! I immediately threw myself into turning my empty apartment into a home. I scoured Craigslist, wandered the aisles of flea markets and used furniture shops, and dipped into my savings account to buy kitchen supplies and dishes. 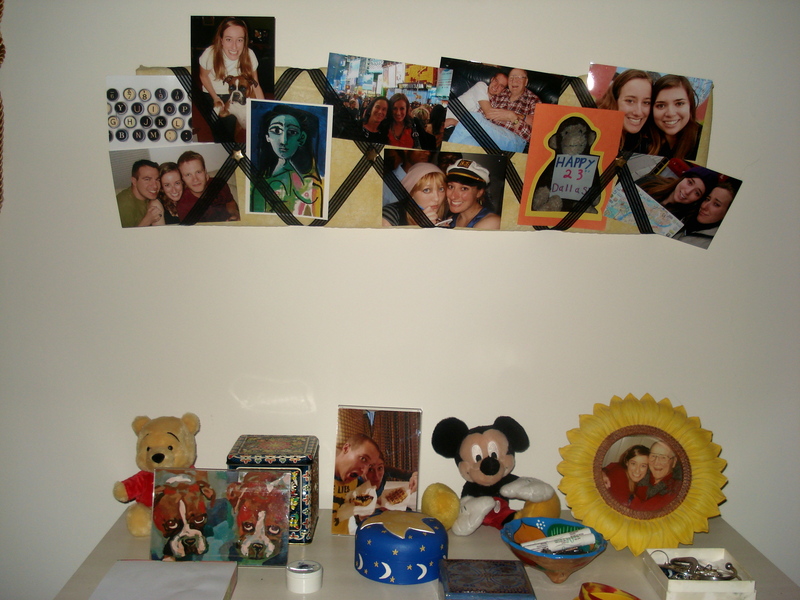 I was a giddy, energetic decorating fiend. Before long my apartment looked like the apartment I had been dreaming about for months. Red accent pillows on the couch matched the red cushions on the kitchen chairs. Sunlight shone through the gauzy white curtains, warming up the rooms. Prints of my favorite Impressionist paintings hung on the walls. The bookshelves were filled with books I loved and photographs of my friends and family. I looked around and was filled with contentment. Yes, I thought. This is perfect. Except … something felt a little off. I had carefully decorated and cozied-up my apartment, but somehow it still didn’t feel like home. I would come back from class and sit on my comfortable couch, the pillows perfectly fluffed, the coffeetable free of dirty dishes, the TV remote exactly where I had left it—and loneliness would ebb through me in gigantic crashing waves. All my closest friends and family were thousands of miles away, and I ached with homesickness for them. I tried to fill the emptiness with more decorating: a pretty embroidered tablecloth for the kitchen table, a bright rug for the bathroom, a congregation of houseplants under the Bay windows. But nothing quite worked. My apartment still didn’t feel like a real home to me. 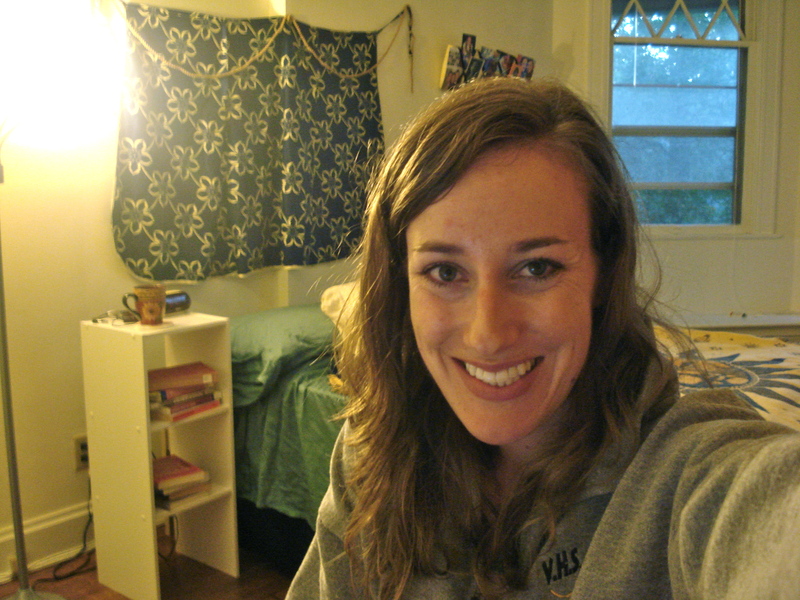 One evening in mid-October I was eating dinner alone at my kitchen table, feeling nostalgic as usual. How nice it was back then, I thought. Coming home to a lively apartment with three roommates. My new apartment was too small for more than one person. Maybe my mistake had been thinking I could live alone? I started thinking about the parties my roommates and I hosted in college, celebrating a holiday or someone’s birthday. Those were my favorite memories from that time in my life: all of my closest friends together in one place, laughing and telling stories and sharing food. Suddenly, I had an idea: what if I threw a party here, in my new apartment? I sent out invitations for an autumn potluck to everyone in my program and spent the entire day before the party cleaning my already-clean apartment from top to bottom. I bought autumn-themed paper bowls and napkins and made two big pots of chili. I arranged pumpkin centerpieces for the kitchen table and coffee table. Everything looked perfect. But I was nervous. What if it was a disaster? In some ways, maybe it was a disaster. Wine spilled on one of my new rugs and left a small stain. Someone dropped one of my new plates and it chipped. Dirt was tracked in on the floors, the pillows on my couch were smooshed, and my new embroidered tablecloth was littered with crumbs. It took days for me to find the TV remote, which someone had unaccountably placed on the very top bookshelf. When the party wound down to a close and the last guests had traipsed out the door into the night, my apartment was a total mess. I used to believe that filling an empty apartment meant buying furniture and decorating the walls. But I learned that what really makes a place into a home is welcoming others inside it with you. That night, my new apartment was filled with people and food and joy. The walls soaked up their stories and laughter so that even when they left and I was by myself again, I didn’t feel alone. I drifted to sleep with a smile on my face. For the first time since I had moved in, I felt like I was home.